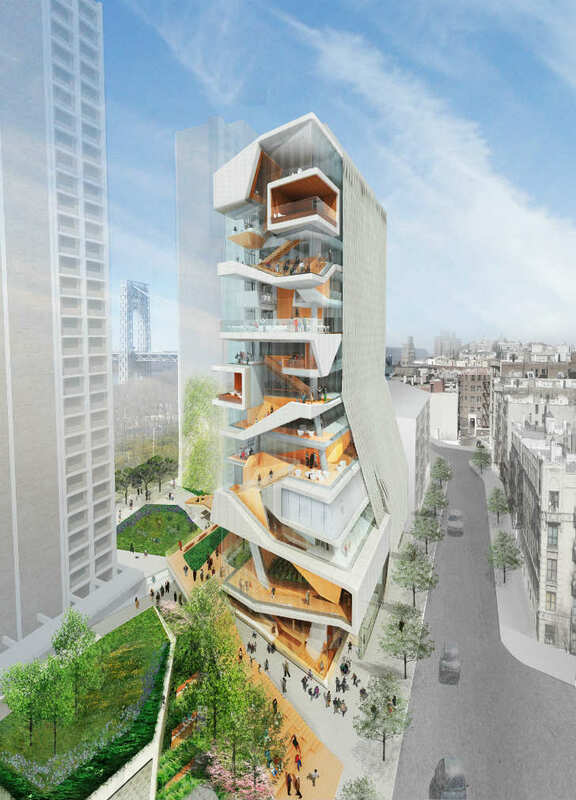 Designs for Columbia University Medical Center’s new 14-story, state-of-the-art medical and graduate education building were unveiled this past week. The modern, glass tower, designed by Diller Scofidio + Renfro in collaboration with Gensler as executive architect, includes green spaces and progressive classrooms. The University is also planning for the building to meet LEED-Gold standards for sustainability. The building’s interior design features technologically advanced classrooms, collaboration spaces and a modern simulation center, allowing hands-on learning in realistic settings. Multiple-purpose outdoor spaces, including a terrace with views of the Hudson River will also be incorporated and serve as a model for modern learning spaces. A new auditorium and events area, along with student lounges and cafes are also part of the design. The building will become an important landmark to the skyline of Northern Manhattan, as it will be visible from the nearby George Washington Bridge and Riverside Park. Construction is expected to begin in early 2013 and will take approximately 42 months. Designs were unveiled for a new green building at Columbia University Medical Center. Designs for the new Columbia Medical Center building include green spaces and common areas for learning. Both the building and the newly created green space surrounding it will revitalize the Columbia Medical Center campus.